From June 15 - 18, 2018, members of our department attended the annual CAS meeting. 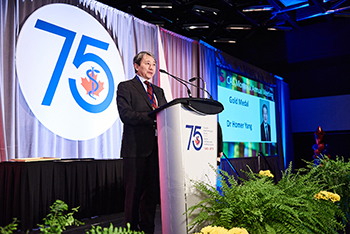 Dr. Homer Yang, Chair/Chief of Anesthesia & Perioperative Medicine, received the Gold Medal honour. The Gold Medal is the highest award given by CAS. It is a personal award consisting of an inscribed medal given in recognition of excellence and leadership in anesthesia. 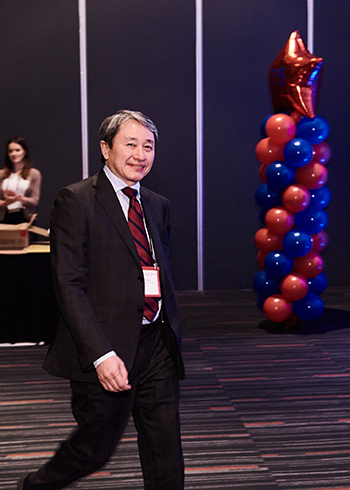 CAS and photographer Tom Berthelot shared these images from the award ceremony. 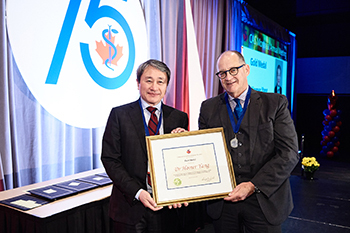 Also honoured were Dr. Jason Chui (CAS Research award), Dr. Adrian Gelb (Gold Medal and former Chair/Chief of our Department), Dr. Shalini Dhir (Chronic Pain award), Dr. John Murkin (Critical Care award) and Dr. Richard Merchant (CAS Clinical Practitioner award and former faculty at Western). 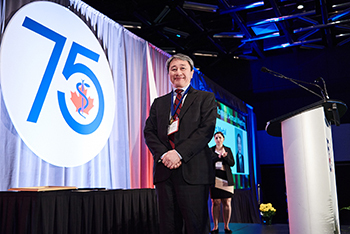 Presenting at the awards ceremony was Dr. Daniel Bainbridge, current CAS Vice-President. 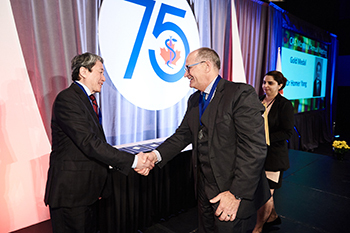 September 1, 2018 starts Dr. Bainbridge’s term as President of CAS. Many of our faculty members presented at the CAS Annual Meeting this year.Read more about their sessions here.